It is one if the watershed facts of woodworking. 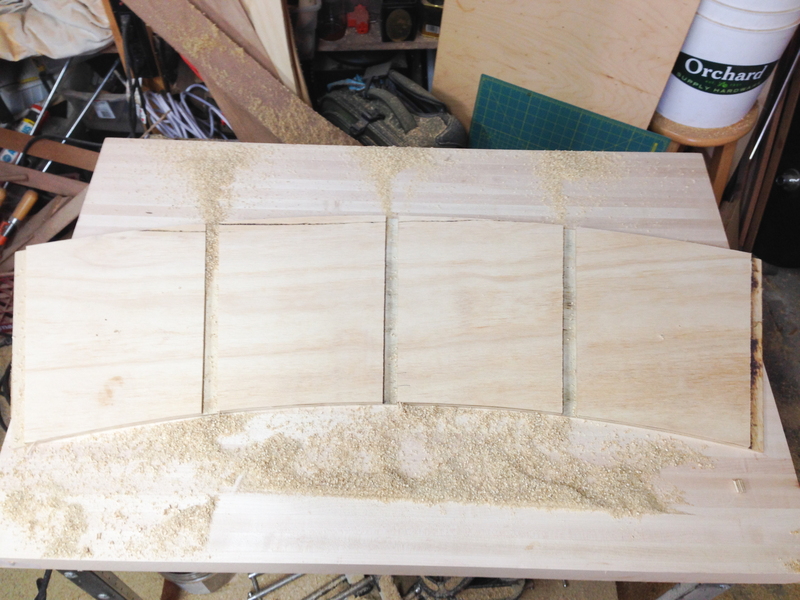 You need to make a jig to make a jig to make something right. It’s always true and always worth a chuckle. 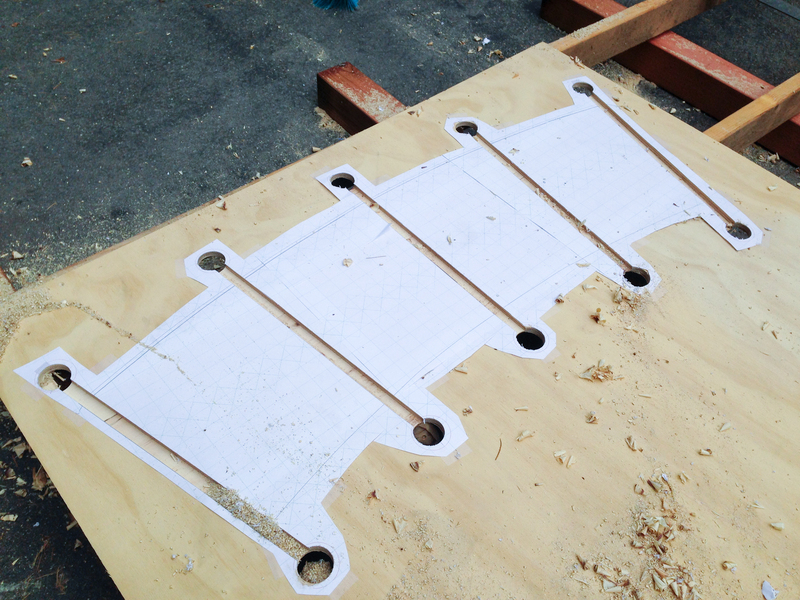 Here I make a single small jig for the 3/4 inch wide path I need to rout out of the full jig. 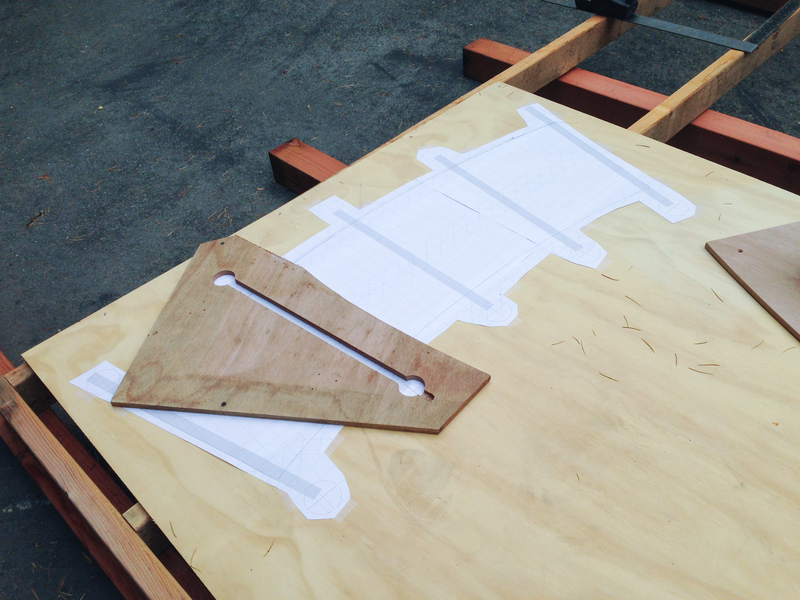 Then I use the computer print out to place the single jig 5 times, each time securing it and routing the pattern. After that I attach some guides on the back so I get consistent placement, and I am off to the races. The first of many donut elements with the rebates ready for the support elements. ← So You Want to Build a Tsunamiball?